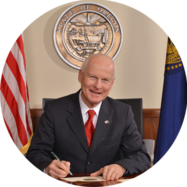 SALEM, OR – Today, Secretary of State Dennis Richardson is pleased to announce the start of the 2019–2020 Oregon Blue Book Cover Photo Contest. The Oregon Blue Book, published biennially since 1911, is the official state almanac. The Blue Book contains information, listings, and descriptions of Oregon state government, educational institutions, media information, cultural and arts organizations, and miscellaneous points of interest to Oregonians and visitors alike. It also includes Oregon fun facts, maps, and state and election history. The 2019-2020 Blue Book theme is Celebrating Oregon’s local festivals, so photos of carnivals, fiestas, county fairs, galas, and other celebrations throughout Oregon would be the most appropriate entries. To see contest guidelines, past cover winners, and to fill out an entry form, go to the Oregon Blue Book website. Contestants must be amateur photographers who are Oregon residents. Photos must be color photos taken in Oregon and be a vertical (portrait) orientation. Entries must also be postmarked by October 16, 2018. If you have any questions about entering your photo(s) in the Oregon Blue Book Cover Photo Contest, please contact the Blue Book editor at bluebook.changes@state.or.usor call 503-378-5199.